Wednesday 11th June saw the return of five ex- Lister students, who are currently apprentices with Newham council, hold an information and advice session in the agora on the Newham Youth Employment Scheme (YES) for current Lister pupils across all year groups. The lunchtime and afternoon session saw students and teachers alike speaking with the apprentices about their own experiences, benefits of YES and potential opportunities for young people when they turn 16. 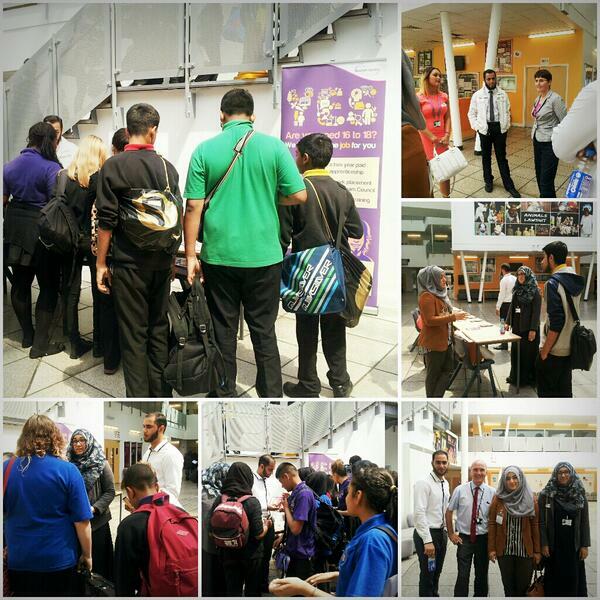 Newham YES offers trainees a two year contract and a work based qualification leading to an apprenticeship in a range of areas from Business Administration to Surveying. Successful trainees have gone on to secure jobs across a range of career sectors from Finance to Engineering. For more information on Newham YES visit: www.newham.gov.uk/yes or speak to Mike or Bob, careers advisers from 15billion, who are in the school careers office on Mondays, Thursdays and Fridays.